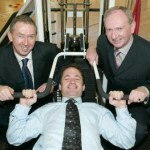 A new £3.5 million state-of-the-art Physiotherapy and Sports Medicine building at Musgrave Park Hospital was officially opened today by Green Park Healthcare Trust, with the help of Ulster and Ireland Rugby International star David Humphreys. Green Park Healthcare Trust opened the 40,000ft² building, which was built and funded by charity partner the MITRE Trust and represents the largest charitable donation to the Northern Ireland Health Service to date. 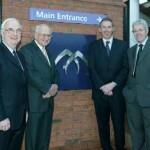 “The MITRE Trust is a charity raising funds to improve patient services at Musgrave Park Hospital. The MITRE Rehabilitation Unit has been our most recent project and we’re delighted it’s being acknowledged as the largest ever charitable donation to the Northern Ireland Health Service. Our target is to raise £2m within the next 3 years to complete the project and we welcome all donations to help us achieve this”. Musgrave Park Hospital, managed by Green Park Healthcare Trust, is one of the largest and leading elective orthopaedic and musculoskeletal facilities in Europe and provides specialist orthopaedic and rehabilitation services for people across Northern Ireland. The MITRE Rehabilitation Unit (MRU) is a 40,000ft² purpose-built facility housing regional orthopaedic and rehabilitation physiotherapy services and the only public health sports medicine service in Northern Ireland.The MRU cost £3.5m to build and was funded by hospital-based charity the MITRE Trust. ” This building cements Musgrave Park Hospital’s position as the leading NHS Sports Medicine Department in the United Kingdom and stands comparison with the very best facilities available world-wide”. 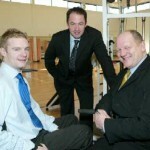 “Musgrave Park Hospital is recognised as a centre of expertise in Physiotherapy and Sports Medicine. The new facility in which the service is now provided reflects this. The surroundings give a positive image to our patients and instils them with confidence when they attend for treatment so that they have an achievable image of their rehabilitation”. 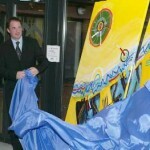 “The Charity is delighted to be able to supply these much needed state-of-the-art-facilities. The patients will benefit enormously and the memory of Musgrave will no longer be of its Nissen huts but of a 21st-century service”. The MRU at Musgrave Park Hospital is equipped with two state-of-the-art gymnasia, a 12m x 7m hydrotherapy pool, a purpose-built spinal cord injuries gym and excellent undergraduate and postgraduate training facilities. Orthopaedic – (adult and paediatric) The unit provides pre and post-operative rehabilitation for patients undergoing surgical orthopaedic procedures such as total hip and knee replacements. This unit includes the Ilizarov service, which uses the Russian technique of a circular external fixator to enable limb lengthening or straightening. Rheumatology – (adult and paediatric) Manages patients with rheumatology conditions including children with arthritis. Provides inpatient and outpatient treatment sessions with access to a top-of-the-range hydrotherapy pool. Spinal Cord Injuries– Musgrave Park Hospital is home to the regional Spinal Cord Injuries Unit for Northern Ireland. Physiotherapy in the MRU spinal gym enables patients to work towards maximum physical and functional independence. Outpatients – The Musgrave Park Hospital Physiotherapy Service is renowned for its specialist musculo-skeletal outpatient service including the treatment of low back pain. 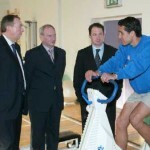 Sports Medicine – The Sports Medicine Department is the largest facility of its kind in the UK. Fitted with the latest therapeutic rehabilitation equipment, the department is dedicated to the care of both the elite and recreational athlete. The MITRE Trust is a charity raising funds to improve patient services at Musgrave Park Hospital with the aim of ‘Making Musgrave Better’. MITRE is made up of a committee of dedicated hospital staff, business leaders and members of the community, who come together to fundraise. 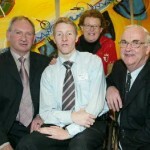 MITRE has been fundraising for eleven years for Musgrave Park Hospital. MITRE has also been involved in the purchasing of MRI Scanners from which over 50,000 patients have already benefited at the hospital. MITRE’s first major project was the opening of the Gait Analysis Laboratory in 1992, which assists local children including those suffering from cerebral palsy and spina bifida.